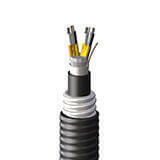 Offering top quality, reliable instrumentation cables for the energy market. Whether it’s an energy production facility or an onshore/offshore oil and gas production facility, Shawcor offers the reliable instrumentation cable that meets industry demands safely—even in the harshest of environments. Our large variety of cable configuration and shielding construction ensures all signals are received from different sensors intact and valves are controlled, switching the way you demand. You can count on long-term, reliable electrical and physical performance. 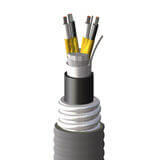 Shawcor instrumentation products consist of 300V, 600V and 1 kV instrumentation cables and thermocouple extension cables in both armored and non-armored options.